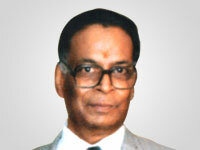 He established the present company, "M/s Sitaram Rajgarhia". 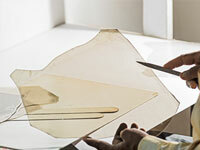 The Company today is one of the oldest and largest manufacturer and exporter of Mica and Mica insulating products and electronic components from India to the world market. The Rajgarhia family has been in the mica business since the late 1800's and the Sitaram Rajgarhia facility has been a world leaders in the supply of high-quality raw mica, mica parts and assembles since 1900. To strive to become market leaders in all the businesses in which we operate. 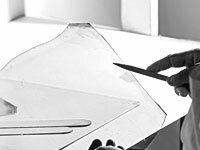 To continue setting higher standards of product quality, technical competence and customer satisfaction through continuous improvements and hard work. To achieve long term goodwill by developing good relations with our customers, vendors, marketing partners and inculcating teamwork and leadership skills in our employees. Long term relationship building with clients through timely delivery, cost-efficiency, technology and quality. Integrity and transparency in all dealings with all stakeholders including customers, suppliers, employees and associates. Being a socially responsible group and keeping our society and country in mind in all our decisions and actions. SR Mica, the flagship company of the Sitaram Group is the leading supplier and exporter of mica and mica products from India. Its wide manufacturing range includes high quality mica capacitors, silvered mica plates, mica flakes, mica powder and all sizes and quality of fabricated and raw mica. SR Mica has been a pioneer of mica capacitor products in India and has state of the art manufacturing facilities and supplies capacitors to companies worldwide. Its manufacturing units in Giridih, Jharkhand are located only a few miles away from the highest quality mica mines in the world and stocks large inventories of all grades of mica. SR Mica is a Government of India recognized Star Export House and has continued to grow and develop over the last 60 years owing to its strong focus on quality and continuous R&D efforts. Sitaram Polyplast manufactures a wide range of UPVC pipes and fittings, for diverse applications in agriculture, housing, telecom etc. The company’s mission is to meet the growing need of high quality and reliable piping products both in India and abroad for water, waste management and infrastructure sector through specially developed products manufactured under strict quality control. Sitaram Polyplast meets various requirements of Irrigation, Bore wells, Potable water supply. 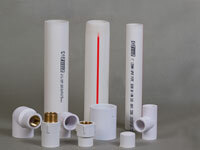 Plumbing, Drainage, Sewerage, Rainwater Harvesting and Water management. Each system has been specially designed keeping in mind the practical requirements for each particular application with regards to use as well as easy installation. Sitaram Marketing is the largest authorized representative of Chukoh Chemical Industries Ltd. in India. 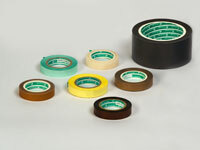 Sitaram Marketing deals in a variety of adhesive Fluro Plastic/PTFE tapes and fabric manufactured by Chukoh Industries. Chukoh Industries is the market leader in Fluro Polymer industry in Japan and China and is fast expanding its footprint all over the world. All Chukoh products distributed by Sitaram Marketing are manufactured & packed in Chukoh Chemicals’ factory situated in Japan. Sitaram Marketing has a well established dealer network in India which enables quick order fulfillment and ensures customer satisfaction Owing to the high quality of the products marketed by our company as well as a dedicated professional team, Sitaram Marketing have captured a significant market share of the high quality fluoropolymer market in India. Copyright ©2013, Sitaram Group. All rights reserved.